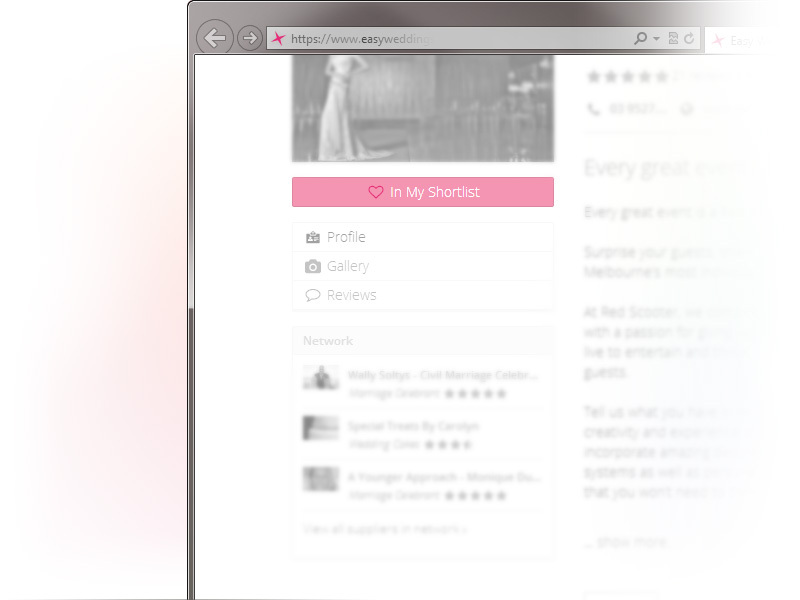 Planning your perfect day online is easy with Easy Weddings! Browse the Easy Weddings directory of over 8,000 top wedding suppliers from around the UK and add them to your shortlist in your free wedding planning account! Browse over 8,000 suppliers from around the UK over 35 categories — when you find the ones you like, add them to your shortlist! 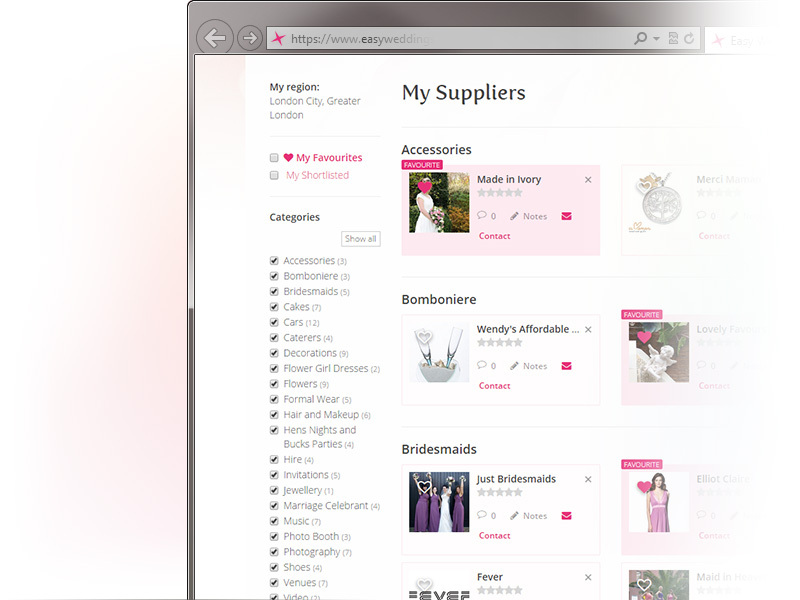 When you’re done browsing, sort through your selections using the My Supplier tool. 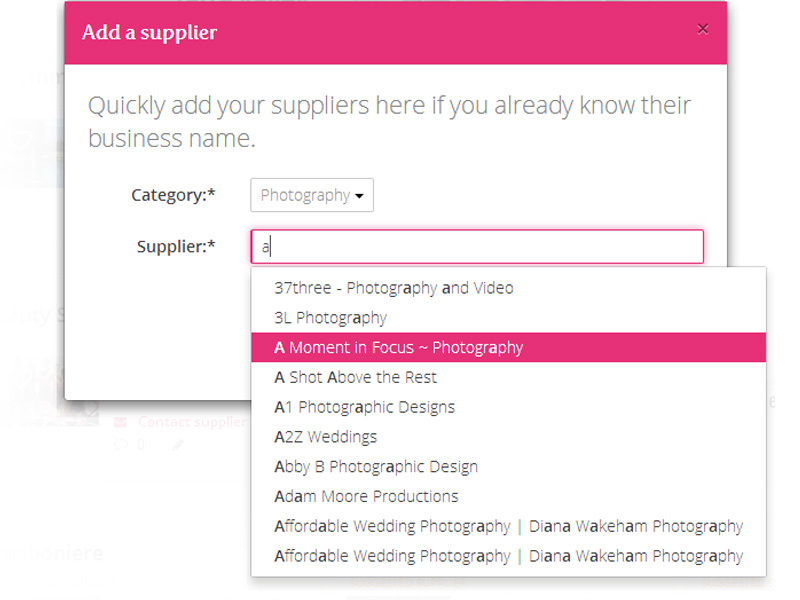 Make notes, contact suppliers directly and mark your favourite one all in one place. It’s easy to add wedding suppliers to your shortlist, either from the Easy Weddings directory or anywhere, keeping all your wedding contacts together. The Easy Weddings Tools are built to work on desktop computers, iPad, Android or Windows devices, so you can plan your wedding in the office, on the train or from your lounge!